I do love the work Dover Publishing is doing in bringing the classics to a new generation. 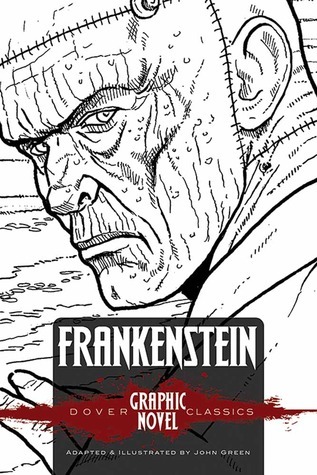 In this book we see Mary Shelly's Frankenstein come to life in coloring book style pages. The story is condensed to be more adaptable to a younger audience. In this book, we follow the creation of the Monster all the way to the demise of its creator, Dr. Frankenstein (yes, I'm very picky about that, Frankenstein is not the monster's name). While the story is condensed, it does reemphasizes the idea that if you treat someone or something like a monster based on their appearance, they will eventually become the monster they are perceived to be. It's a good portrayal of the classic story.